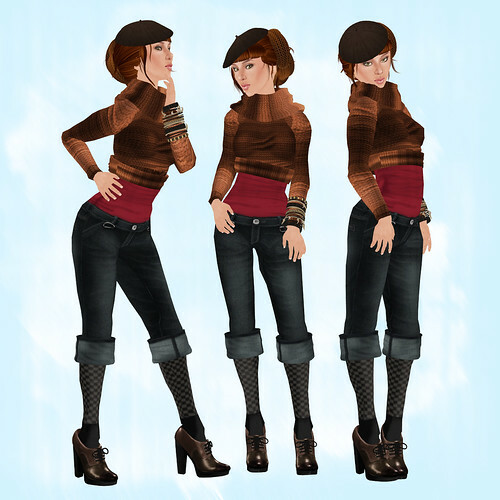 These days Second Life is full of different sorts of shopping events. One of the most interesting shopping events is Stumblebum Brigade. Yes, I do take part on the event myself. But the actual thing why I really find this event so interesting is because all the participating stores are supposed to release an exclusive item which is available only through their turn on the event. And there are lots of handpicked quality stores taking part the stumbling. The other similar event was Silent Lion Troupe. Yes, I said was, because after this month the event will end. It's a pity, but things change. This look was inspired by the cold weather that has hit my RL as well as these awesome Silent Lion Troupe and Stumblebum Brigade items, which should already be found in your inventory. If not, go check out if you can find them.